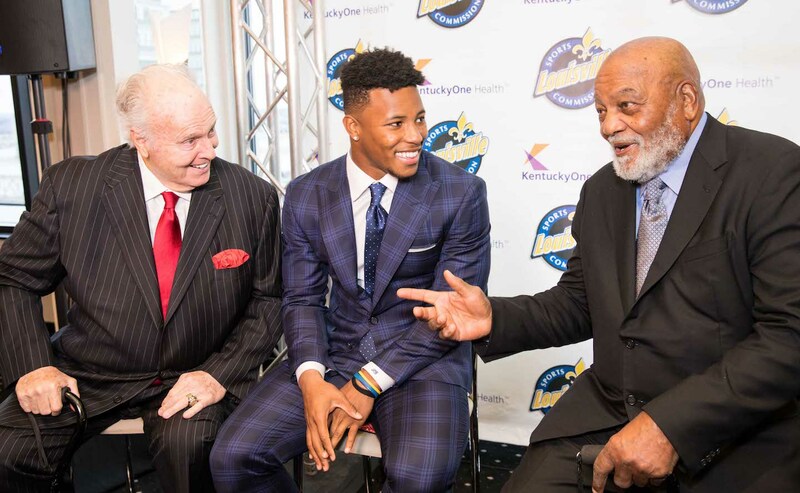 Louisville, KY – Monday, October 27, 2014 – Based on outstanding performances in week nine, running back Ameer Abdullah (Nebraska) and linebacker/running back Nick Vigil (Utah State) each earned Paul Hornung Award Honor Roll recognition for the third time this season, while quarterback Patrick Towles (Kentucky) made the list the first time. The announcement was made by the Louisville Sports Commission, owners and operators of the Paul Hornung Award, presented by Texas Roadhouse. The Award is given annually to the most versatile player in major college football. The winner and his family will be honored on January 27, 2015, at a banquet presented by KentuckyOne Health at the Galt House Hotel and Suites in downtown Louisville. College football fans nationwide have the opportunity to cast their votes online for the Paul Hornung Award. Fans can vote as often as once every 24 hours at paulhornungaward.com for players who were on the preseason watch list and players who have been named to the Weekly Honor Roll selection. Voting will continue through November 17, 2014. Fans will then have the chance to vote for the winner from among the finalists in a second round of voting in late-November. Nebraska I-back Ameer Abdullah had a phenomenal game, with a school-record and 2014 FBS-best 341 all-purpose yards, including 225 rushing, to power the Huskers to a 42-24 win over Rutgers at Memorial Stadium. Abdullah’s 225 rushing yards marked his fourth 200-yard rushing game of the season. He also had two catches for 45 yards and two kickoff returns for 90 yards, including a 76-yard return to Rutgers’ 26-yard line. Abdullah increased his career all-purpose yardage total to 6,604 and moved from fourth to second place on the Big Ten’s career all-purpose yardage list. Kentucky quarterback Patrick Towles had a career outing with 477 total yards in a 45-31 home loss to top-ranked Mississippi State. Towles was 24-of-43 passing for 390 yards with two TDsand connected with nine different receivers. He logged 76 yards on 23 attempts and a pair of scores on the ground, which included a career-long rush of 48 yards in the third quarter. He also caught one pass for 11 yards. Towles accounted for four plays of more than 40 yards including a pair of TD tosses that went for 58 yards or longer. Utah State linebacker Nick Vigil made strong appearances on offense, defense and special teams in a 34-20 win over UNLV in Logan, Utah. Vigil was on the field for 53 total snaps – 35 snaps on offense, 12 on defense and six on special teams. He carried the ball 11 times for 51 yards; had six tackles, including one-and-a-half tackles for a loss of 12 yards; one-and-a-half sacks for 12 yards; and a forced fumble. Vigil had a career-long rush of 31 yards in the first quarter and his forced fumble was his fourth of the season.